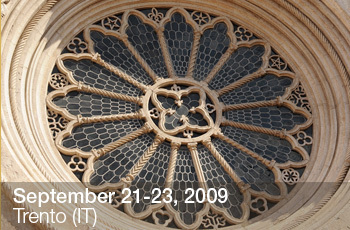 The 5th Event Processing Symposium will take place in Trento, in September 21-23, 2009. This international event gathers most of the major academic and industrial players in the area, and is organized under the auspices of the Event Processing Technical Society (EPTS). The event is organized by dbTrento, the Databases and Information Management group of the University of Trento. The host and local arrangements coordinator is the EPTS member Themis Palpanas.